My first port of call on Friday morning was the Children’s Hospital Rummage Sale and depending on my luck there I would head off to two estate sales afterwards. I haven’t been to this monthly rummage sale in a long time and realized I’ve been passing up a gold mine! My strategy was to get in line a little after 10:00 a.m. for an 11:00 opening. The sale room has a small, jam-packed antiques and collectibles section and they only let in about 8 people at a time into this area. I wanted to make sure I was one of the first people. And I was! 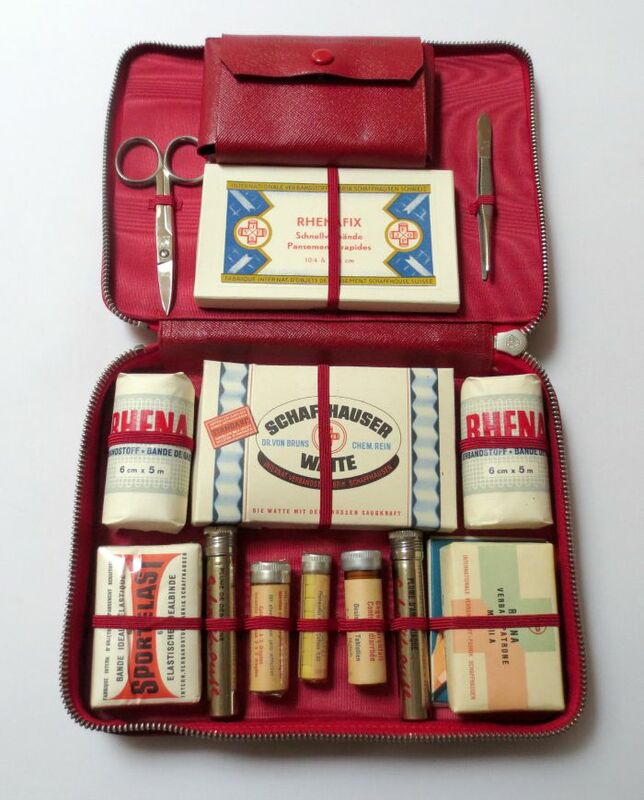 Super glad I was because the first thing I picked up was the most amazing, old, German first aid kit complete with all its bits. My heart actually started beating faster as I looked at this. I mean look at it…it’s pristine! Even all the little pills are there! Quick into my bag it went along with a lot of other great items from the rummage sale. Then today I started researching my first aid kit and my heart sank. Absolutely sank. I found that alibaba sells a cheap Chinese knockoff version of this vintage kit! Oh no!! Wait, is my kit a knockoff? How can I distinguish my kit from the new Chinese ones? Thankfully I think I may have found some answers…my scissors and tweezers are marked “Solingen,” which is a German company that makes high-quality cutlery and scissors. Solingen implements are made only in Germany. The ones from the new Chinese kits are unmarked as far as I can tell and it is doubtful their kits would have Solingen implements. I also have older-looking tins of medicine from Switzerland wrapped in disintegrating cellophane. Well, I’ll keep looking for more clues, though I am now certain I have a true vintage piece from Germany. Nevertheless right now I’m shaking my bony fists at the Chinese company who is producing these “vintage-style knockoffs.” It certainly has deflated some of my excitement about this find. 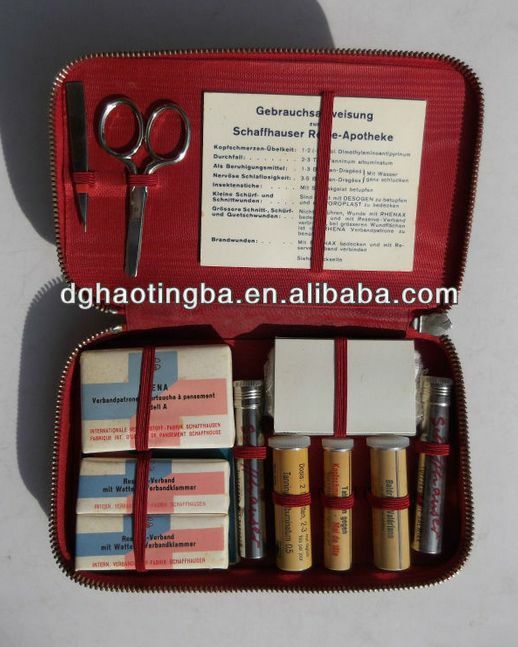 And I think I will include in my Etsy store listing that there are knockoffs floating around for this item…I would hate for someone to buy my first aid kit and then stumble upon one of the knockoffs and think I scammed them. Absolutely! the whole truth here, and good researching on the implements–hope you find additional verification. You are doing a fine job of finding some great items! I would inform them up front that there are knocks offs floating around. ← Today is My “Someday”…Is it Yours Too?